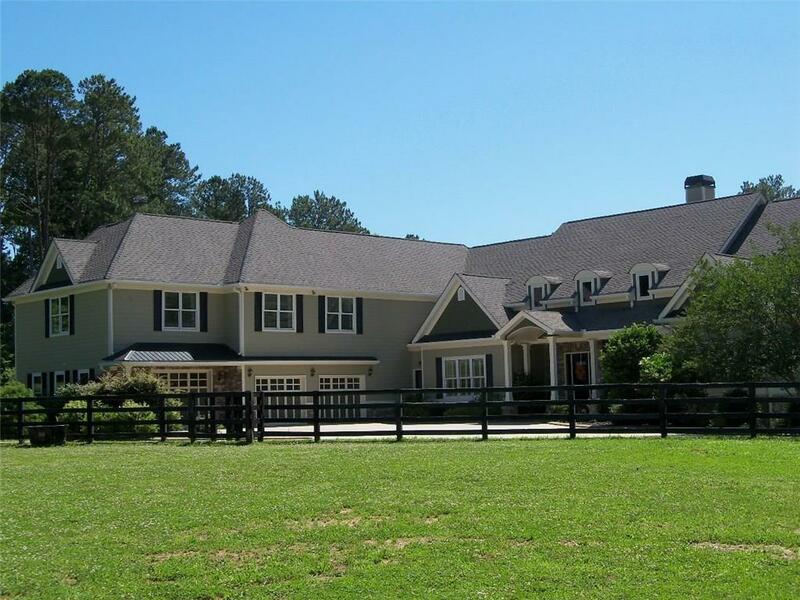 Beautiful Equestrian Estate! 9 acres, x-fenced, multiple pastures, pro arena, 5 stall barn w wash and lav, shaded meadow at rear. Prime setting on fabulous Clarity Road. Very nice lot w antique gated entry. Casual elegance abounds in this custom home! Master wing and second bedroom on main. Elegant library/sitting room/formal dining/gourmet kitchen. 2 bedroom suite with sitting room up offers complete privacy for guests or teens. More space at expansive terrace level. Outdoor fireplace/dual decks. Perfect spot for a pool! Stocked pond/6 car garage. Total WOW! Must see! Directions: 400n To Exit 11 (Go Left On Windward Pkwy). Stay Straight For 6.5 Miles, Make A Left On Birmingham Rd, Right On To Birmingham Hwy (372) To Left On New Bullpen, Left On Antioch, Left On Clarity And Home Is On Your Left.